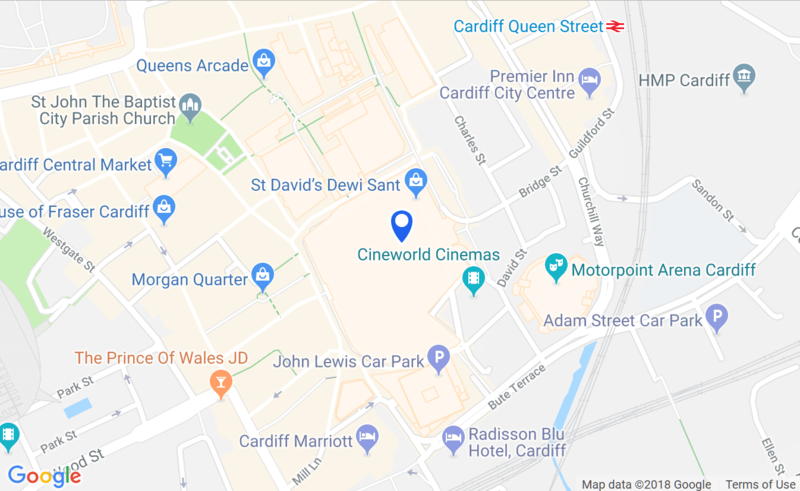 The Eat Guide by St David’s showcases the 40-plus restaurants and cafés you’ll find right in the heart of Cardiff city centre. St David's is the place to come for good food, and by good food we don’t mean expensive food – we mean satisfying, lick-the-plate, share it on Instagram, delicious food. From sushi to sundaes and from pain aux raisins to the perfect risotto, you’ll find everything you could possibly fancy here. It’s food for a quick stop while you shop, for a can’t-be-bothered-to-cook Tuesday, or for a special birthday. Hopefully this guide will give you lots of inspiration – complete with a listing of every eatery. Enjoy! Make sure you use the fullscreen option on a desktop or laptop computer and rotate your screen to landscape on a tablet to view it in all its glory. Sign me up for Eat Club email updates!